Honored to Help Families Harmed by Medical Negligence Families who have suffered due to a medical professional’s mistake during labor & delivery deserve to seek justice. Find out how we have helped those families. Having a child is usually an exciting time for parents, and expectations are high that the delivery will be normal and uneventful. However, some women experience complications during child birth—problems that can endanger the life of their child. One type of complication is prolonged labor. This problem—also known as “failure to progress”—occurs when labor for a first-time mother continues for 20 hours or more. If the mother has given birth at least once before, she’s considered to have prolonged labor after 14 hours. Prolonged labor can occur when the baby’s head is bigger than the mother’s birth canal and has difficulty moving through it. Additionally, if the baby is in an abnormal position within the uterus, there are problems with the mother’s contractions, or there are problems with anesthesia, these can cause prolonged labor. A prolonged labor can put your baby at risk. 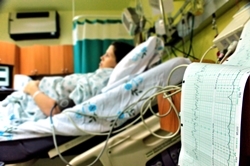 If your child was injured as a result of a prolonged labor, the Holton Law Firm can help. Contact us at 888-443-4387 for a free consultation, and we’ll discuss your specific situation to determine if the hospital or medical staff made mistakes when dealing with your prolonged labor.